While his career win rate is a strong (in comparison with other managers) yet middling percentile he can show that as an interim he has delivered an increase on his personal overall performance. Unfortunately, the previous manager Roberto Di Matteo had a better personal performance record! When you compare with the results against his peer group and especially Sir Alex Ferguson, Jose Mourinho and the stellar achievement of Jupp Heynckes then you start to see some results perspective. He has not set the football world alight yet, and unless he wins the Europa League Final and Chelsea end up with a top 4 four finish he will have to console himself with just reaching the final. 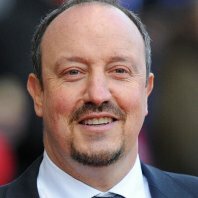 The interim manager job can offer great reward and in fairness to Benitez he could just squeeze Chelsea through the and win the Europa final and even though the last few games of the Premier League could present a challenge he could just make his CV look good.